The silhouette of this ring is not only unique and classic, but it exudes heirloom quality. This will be a treasure that is passed on from generation to generation. 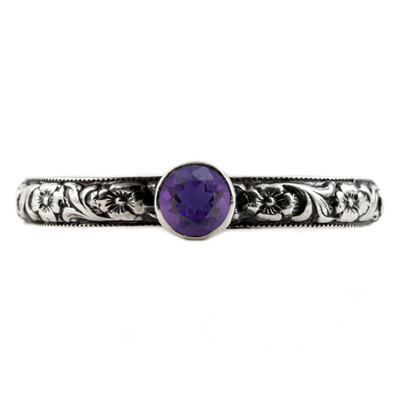 The vintage style of the paisley floral details are accented with a stunning amethyst gemstone. The quality shines in the polished sterling silver band. The total measurement of this ring is 4mm. The jewelry experts of Apples of Gold guarantee you will enjoy this precious piece of jewelry for years to come. Please use our sizing chart as a reference and place your order today. 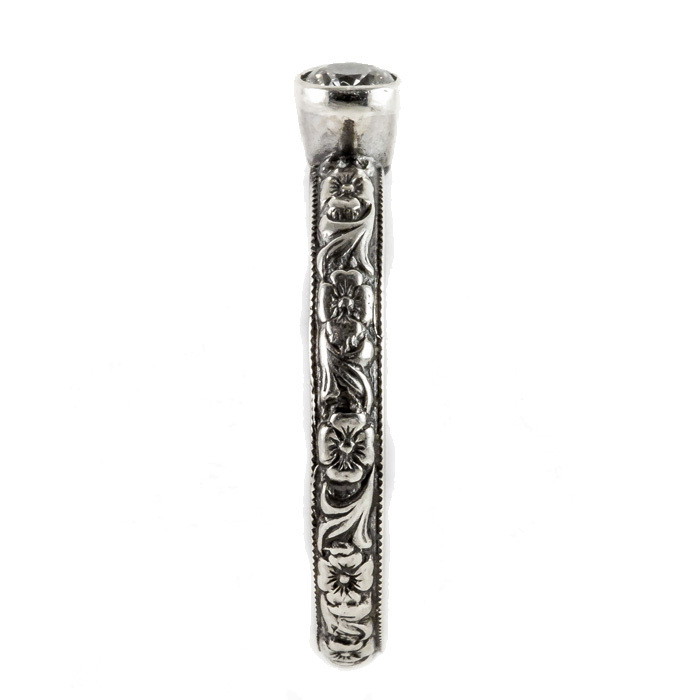 You could be wearing this amazing sterling silver ring tomorrow. We guarantee our Handmade Paisley Floral Amethyst Engagement Ring, Sterling Silver to be high quality, authentic jewelry, as described above.